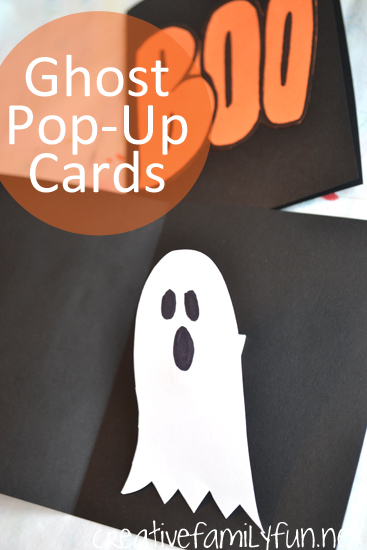 Send a fun little ghost to your friends and family this Halloween with these simple-to-make pop-up cards. 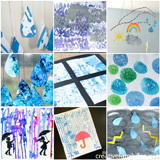 This craft is for your older kids or tweens. A good rule of thumb, if your child is comfortable cutting details with sharp scissors, then they can do this craft. Use the black card stock for your card. 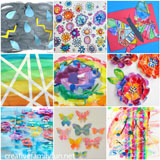 I had pre-cut pieces that were 5″ x 8″. This turned out to be the perfect size for these cards. Fold your black card stock in half to make the card. 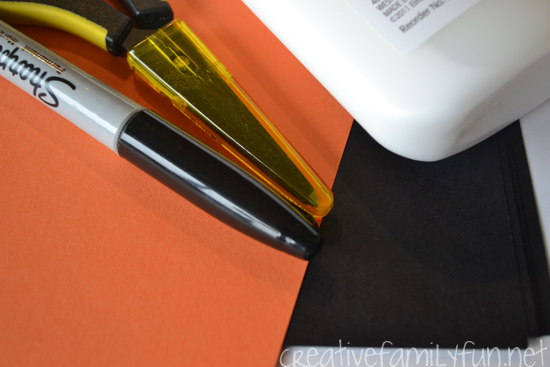 Use the orange card stock for your cover image. 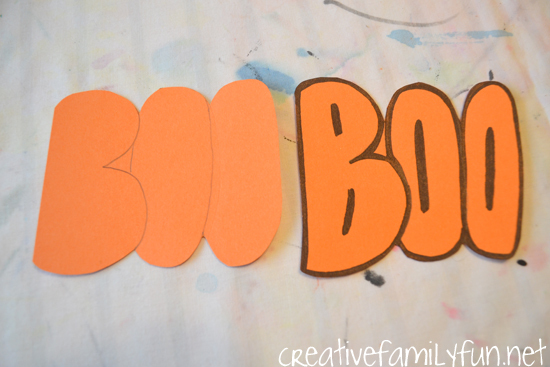 Sketch the word “Boo” on your card stock. Make it big enough to stand out on the cover of your card. Cut around the letters. You don’t need to cut out any holes inside the letters. We’re going to keep this easy and use the black Sharpie for all the details. Use your black marker to trace around all the letters. Go right up to the edge. 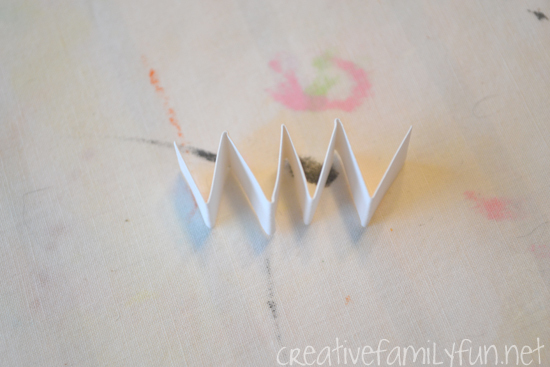 (Do this on top of a piece of scrap paper to eliminate any mess.) Add your details, such as the holes inside of the o’s with the marker. We’re going for a cartoon-type look. 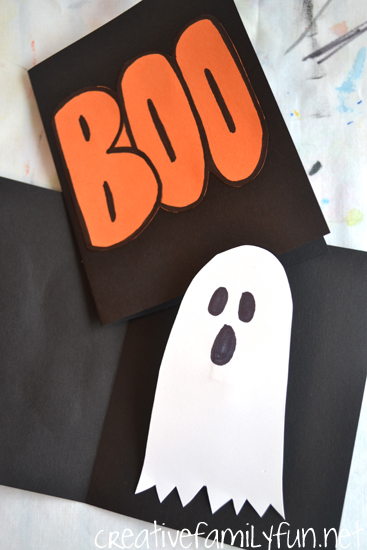 Glue your “Boo” to the cover of the card. 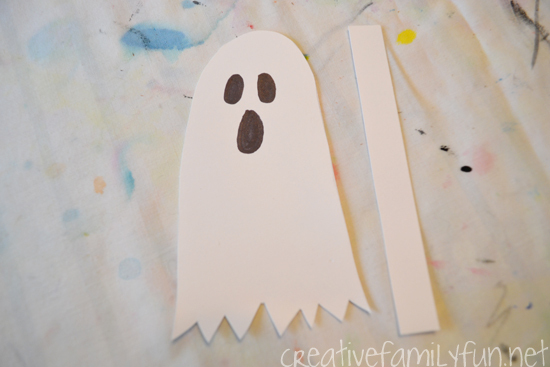 Next, make a ghost from your white card stock. Make it large enough to cover most of the inside, but not too big that your ghost peeks out when the card is shut. Also cut a thin strip of white card stock, approximately 4 to 5 inches long. Add your ghost details with your black marker. Fold your thin strip of card stock accordion style. Make sure there is a flat end on each end. 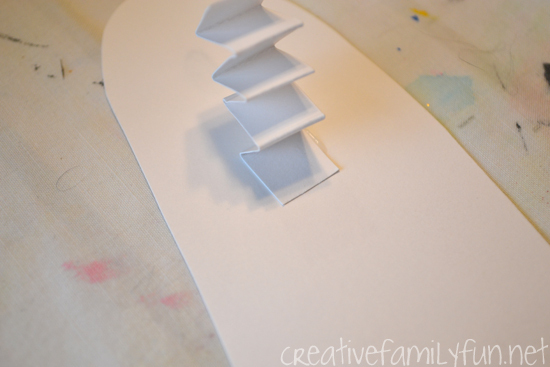 Glue one flat end to your ghost and the other to the inside of the card. Press it down for several seconds to make sure your ghost sticks. 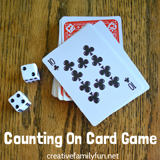 Once it’s done, you’ve got a fun and not-very-spooky card to spread the Halloween cheer. 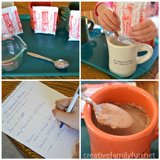 Make several to surprise your friends. They’ll love it!